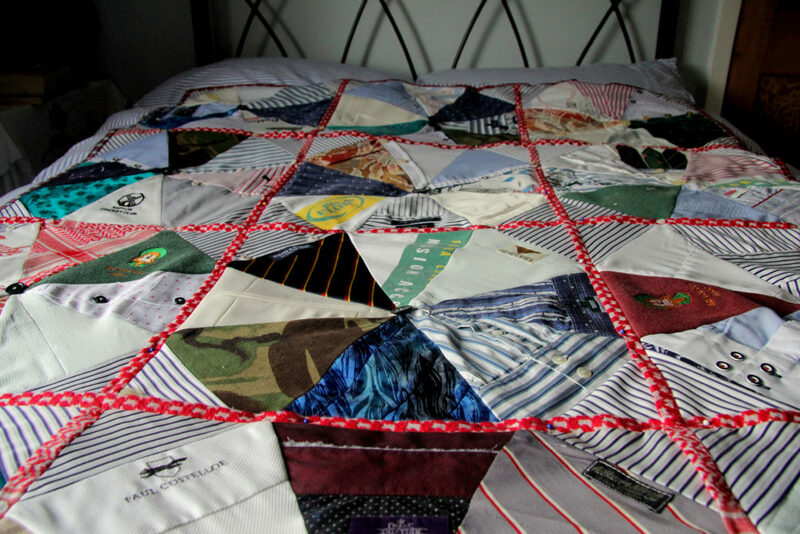 In memory of a military man. 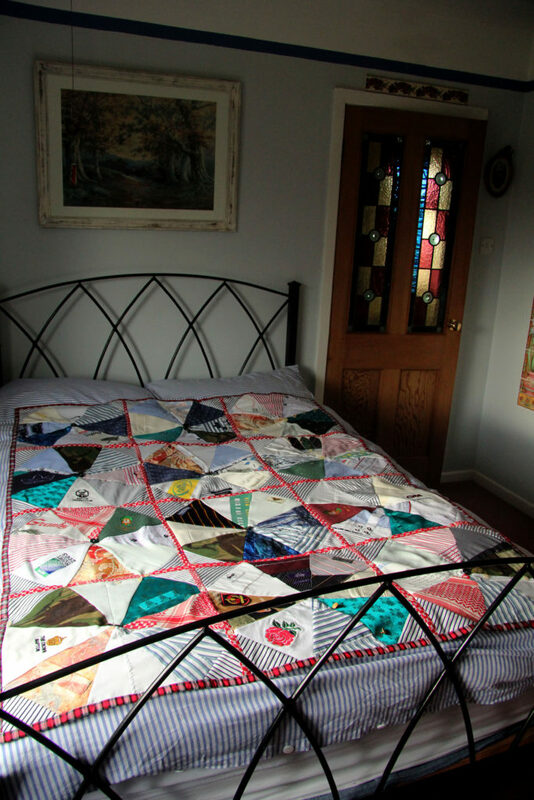 This quilt is in memory of a much-loved husband who lost his life in a tragic accident. 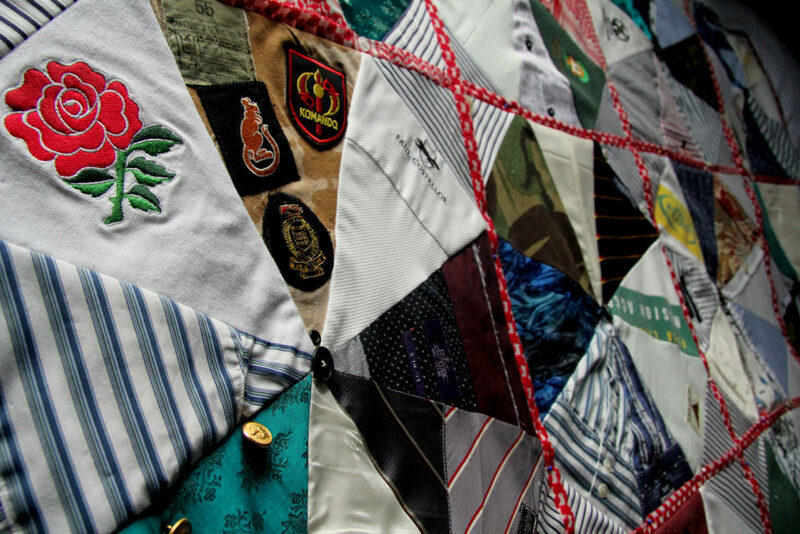 The quilt encompasses many items of his clothing that show his love of motor bikes, cricket, rugby, marathon running and his army career. His wife’s wedding dress was also included in this quilt.